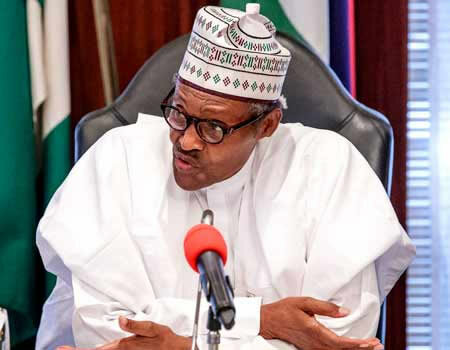 The Peoples Democratic Party, PDP, Sunday took a swipe at President Muhammadu Buhari, saying that his administration has no moral rectitude to pontificate on corruption. “He has soiled his hands in corruption”, the said. In a statement disclosed by the National Publicity Secretary and Director, Media and Publicity, PDP Presidential Campaign Organization, Kola Ologbondiyan, the party accused Buhari of presiding over the most corrupt and incompetent administration in the history of Nigeria. The party equally accused Buhari of becoming a threat to the coming elections, noting that he is funding his campaign with looted funds. “The PDP, out of respect for the Office of the President of Federal Republic of Nigeria, had severally refrained from calling out President Buhari on his various indictments for corruption even during his era as a military ruler. “A clear reading of Mr. President’s statement today shows that he is not yet aware that Nigerians have decoded his mastery of concealments of corruption in his Presidency and are no longer interested in his failed self-acclaimed fight against corruption. “The truth is that Nigerians have seen more than enough of the fake fight against corruption and have come to a conclusion that President Buhari is merely paying lip services to this fight. He has no intention to do it and even if he had the opportunity to govern perpetually, he will never fight corruption.